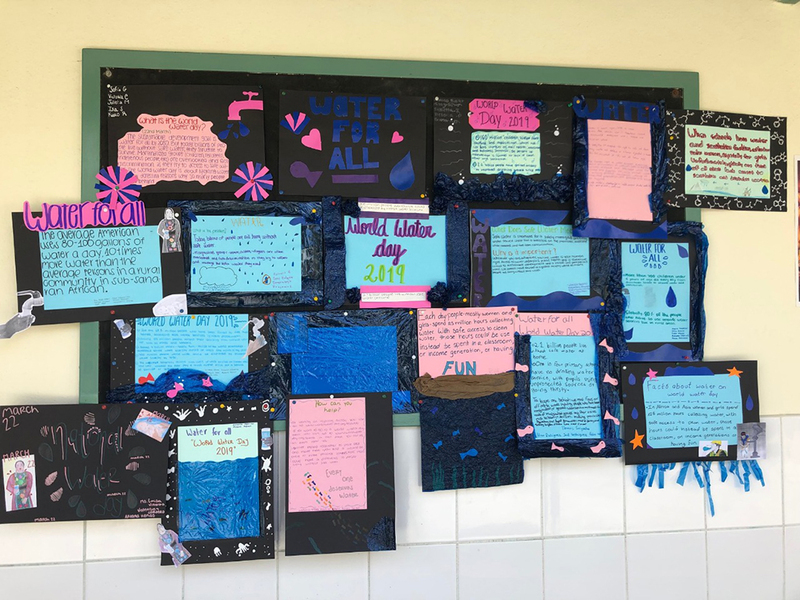 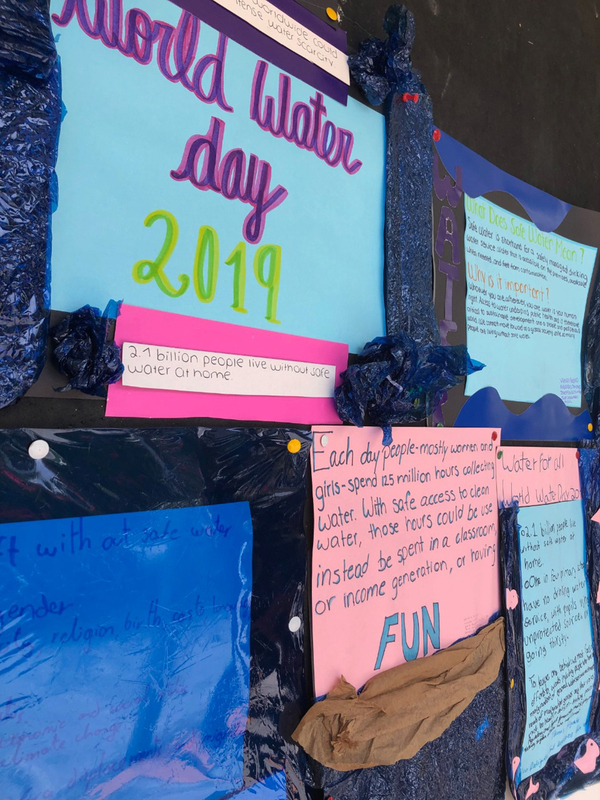 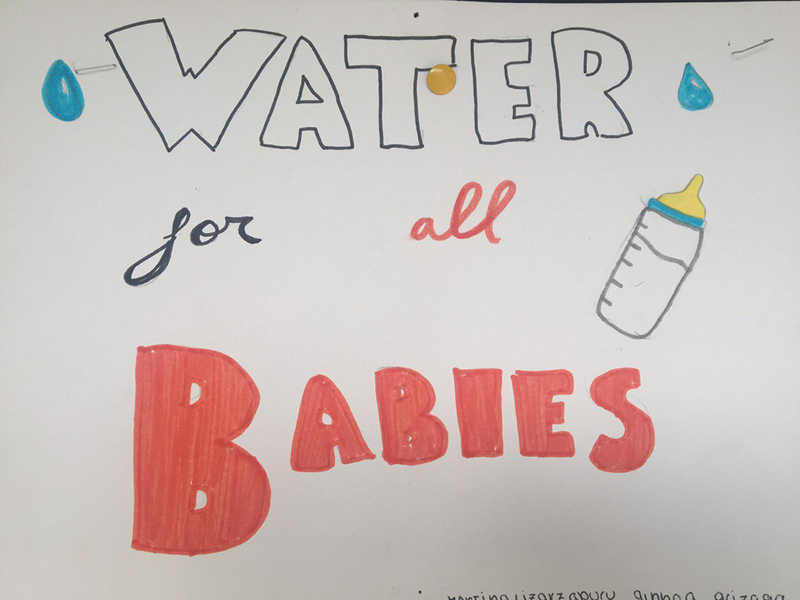 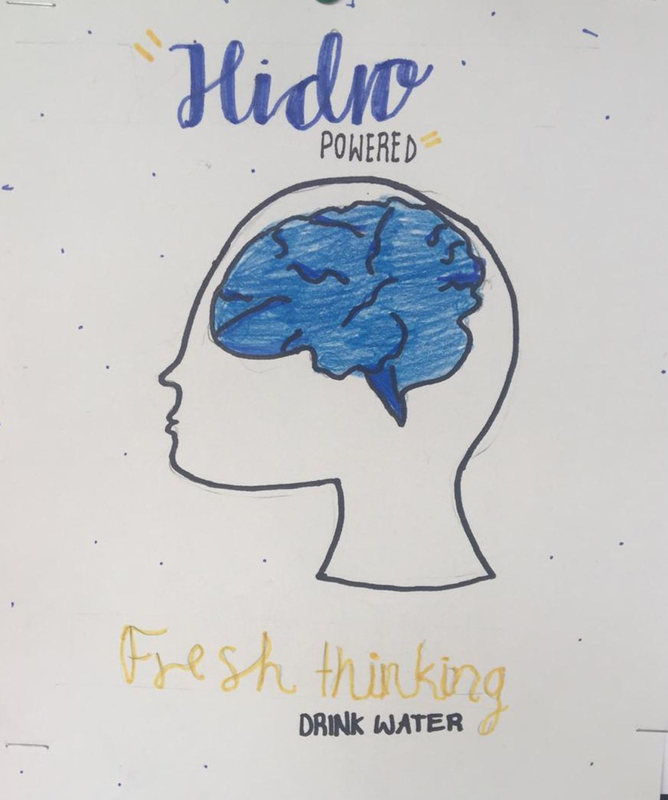 The 8th and 9th grade students had the opportunity to work on the creation of various posters about interesting facts about World Water Day. 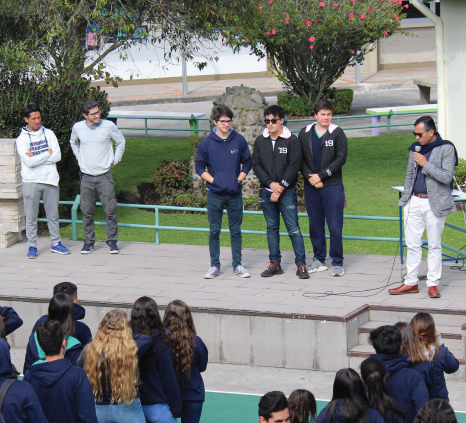 The theme of this year was: Do not leave anyone behind. 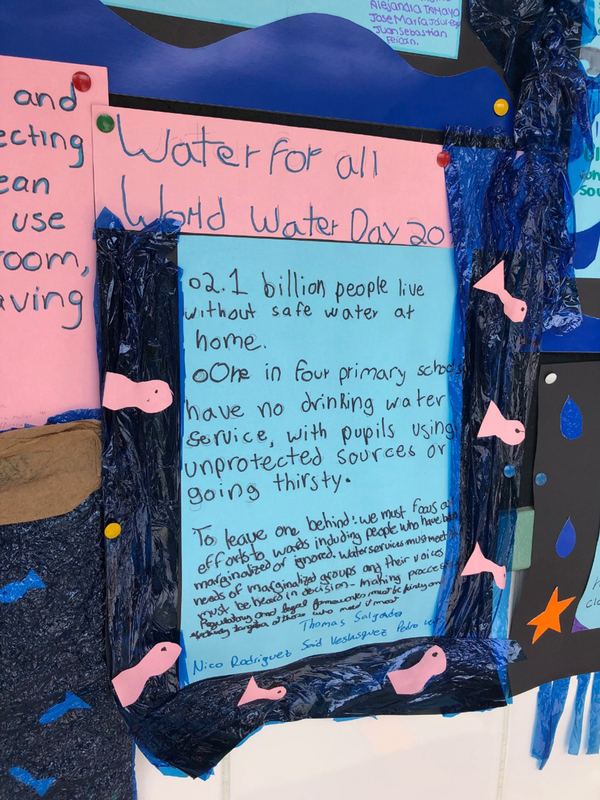 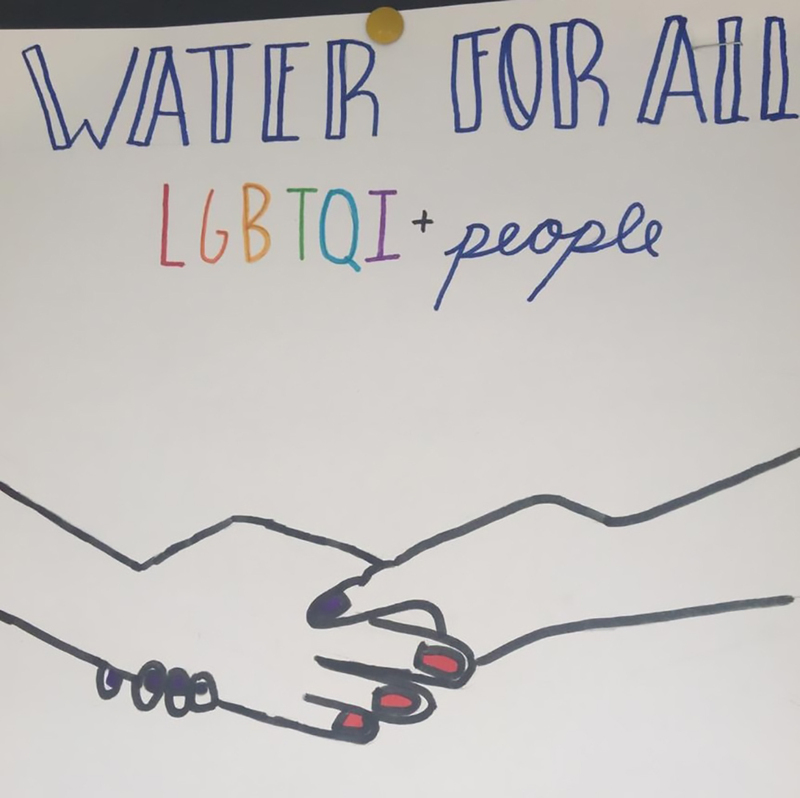 The students were able to analyze the importance of the right to access water, a right that everyone should benefit from. 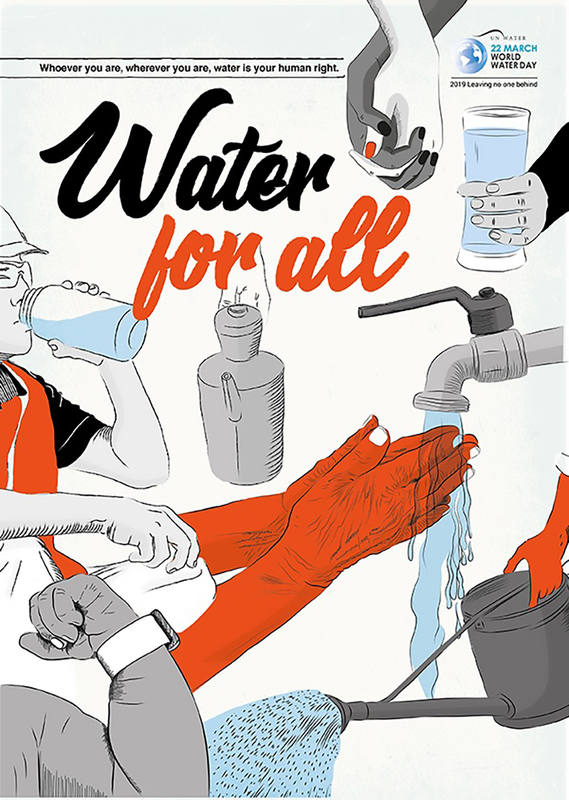 There are still millions of people who cannot access clean water and struggle to survive. 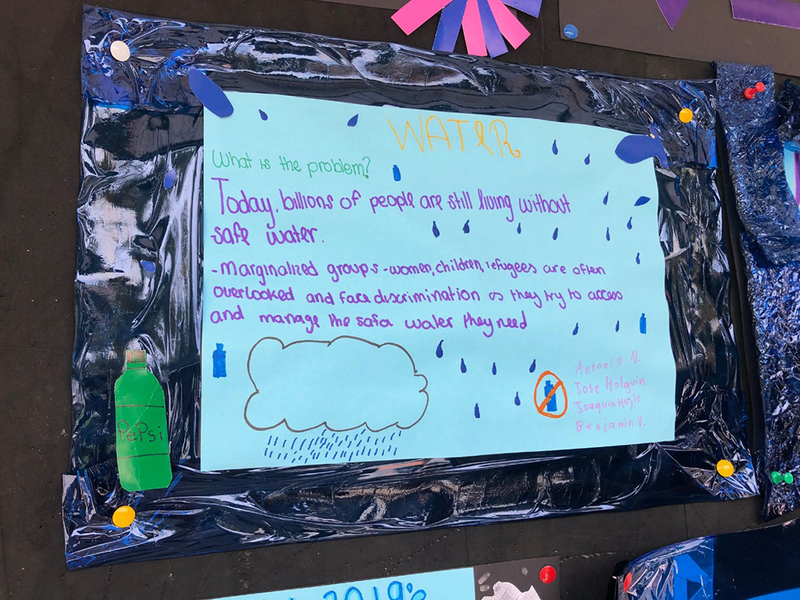 The 8th and 9th grade students were able to inform the community of these very important aspects. 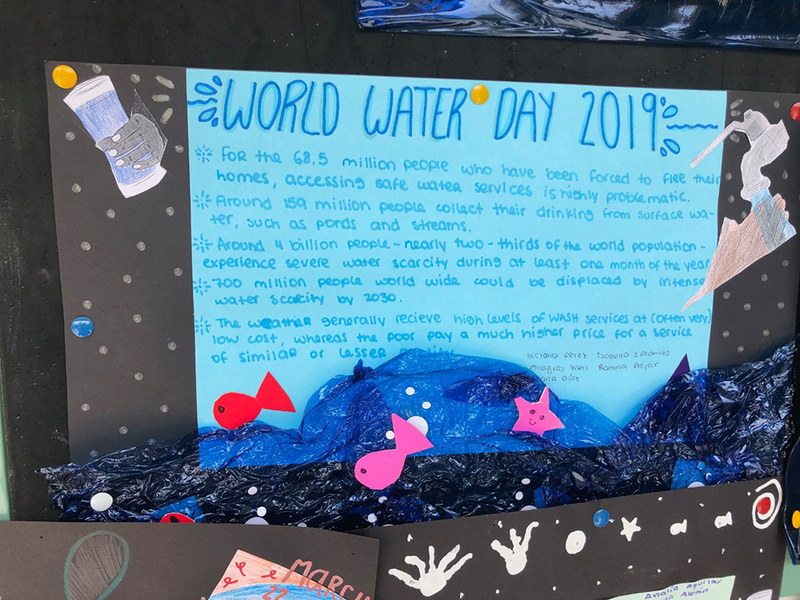 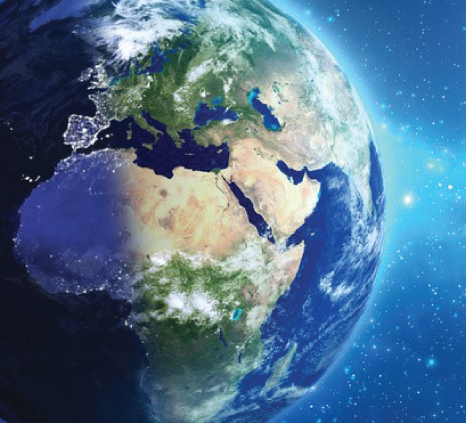 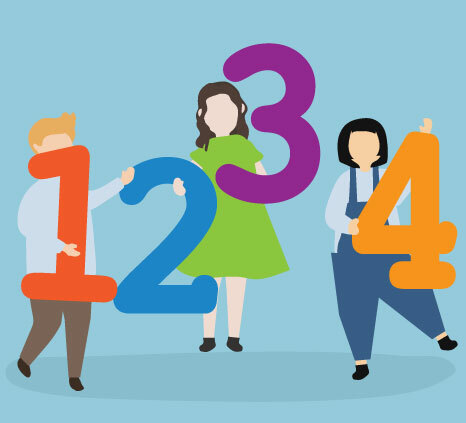 Los estudiantes de 8vo y 9no grado tuvieron la oportunidad de trabajar en la creación de diversos posters acerca de datos curiosos sobre el Día Mundial del Agua. 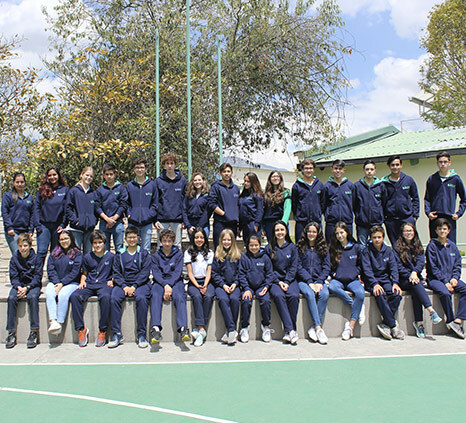 El tema de este año fue: No dejar a nadie atrás. 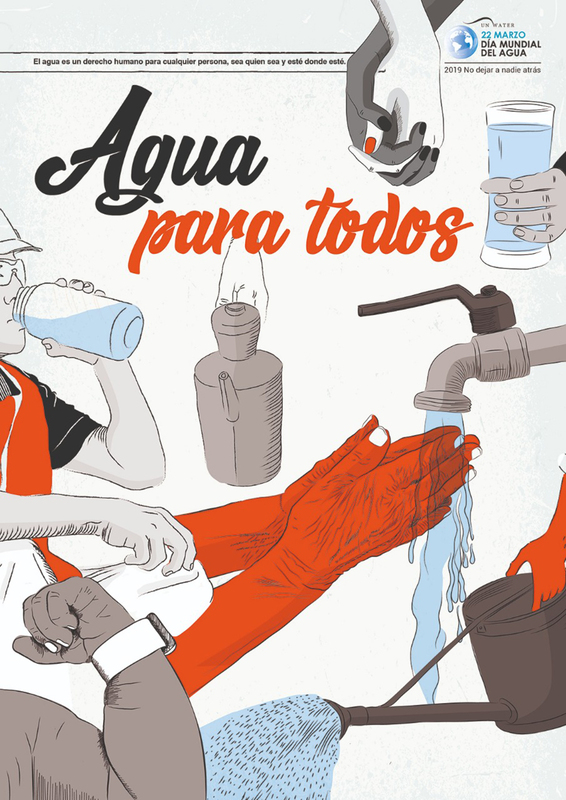 Los estudiantes pudieron analizar la importancia del derecho a acceder a agua, un derecho del cual todos deberían beneficiarse. 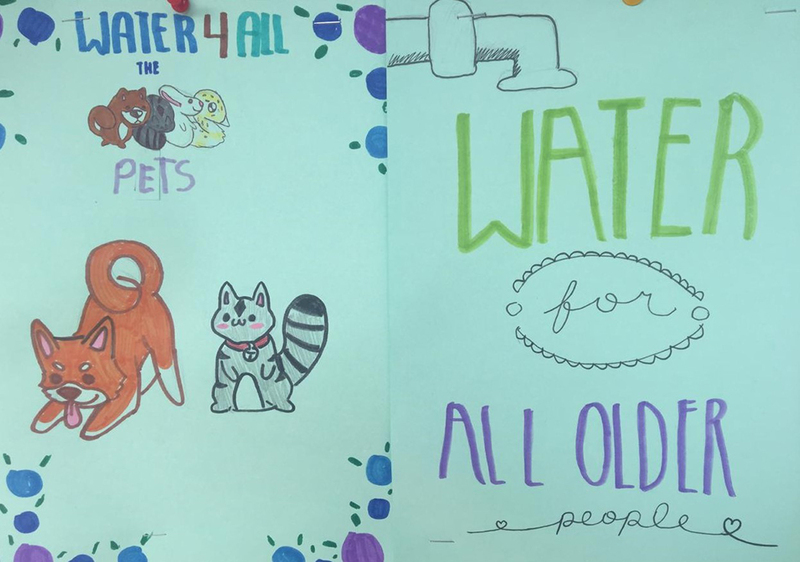 Todavía existen millones de personas que no pueden acceder al agua potable y luchan por sobrevivir. 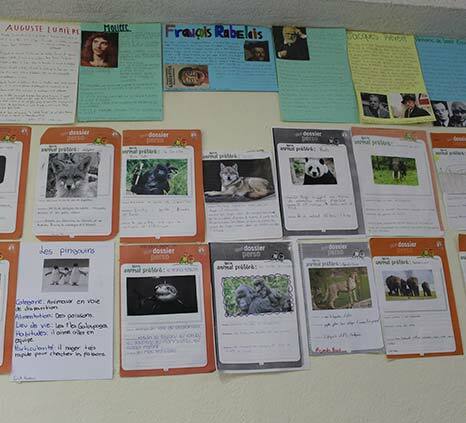 Los estudiantes de 8vo y 9no pudieron informar a la comunidad de estos aspectos muy importantes.